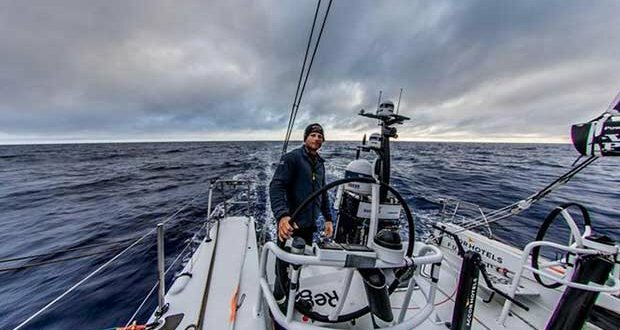 Those following the rankings and tracker for the Volvo Ocean Race could be forgiven for thinking they’d glanced away for more than one of the six-hour position reports. The leaderboard is constantly undergoing a shake-up, reflective at the moment almost entirely by how far east a team is positioned. As the fleet approaches the latitude of the finish line in Cape Town, this is hardly surprising. Any progress to the east is a direct mile off the 2,500 or so miles left to the finishing line. But tactically, it’s hardly that simple, and teams that many experts are touting as in the strongest position on this leg are still charging to the southwest, effectively sailing away from the finishing line in an effort to pick up strong breeze in a weather system that will carry them to the finish in about a week’s time. 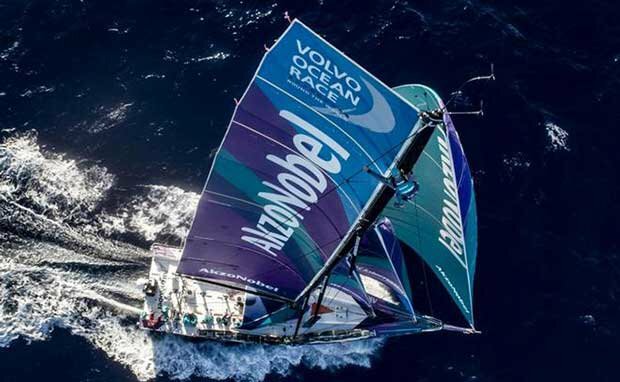 “The last position sked dropped us from first to fifth,” said team AkzoNobel watch captain Chris Nicolson. His team had been positioned furthest to the east the last few days and had thus been leading the rankings. 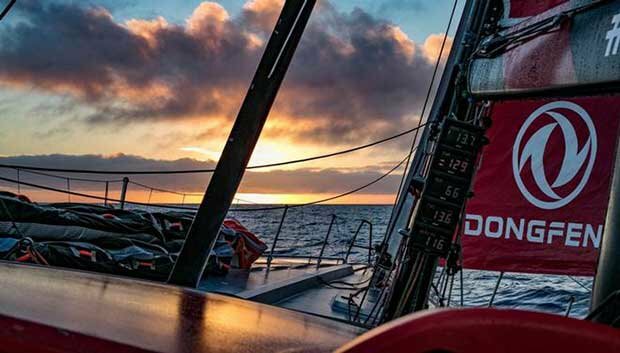 An interesting development over the past 24 hours has been in the different tactics of Dongfeng Race Team and MAPFRE, two boats who had been leading the charge south for most of the past week. But in the early hours of Saturday morning, Dongfeng appears to have switched tactics, and is now approximately 80 miles further east. That means closer to Cape Town, but also nearer to the lighter winds of the high pressure system. In fact, while MAPFRE is sailing in 16 knots of wind at the 1300 UTC report, Dongfeng is seeing just 12 knots. How this plays out over the next 12 – 24 hours could determine the leader into Cape Town.